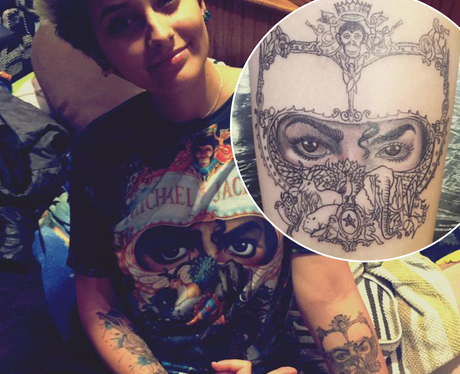 Paris Jackson got her father's art work tattooed on her arm. 18. Paris Jackson got her father's art work tattooed on her arm. Paris and Michael Jackson were very close. Following his 2009 death, Paris got the artwork from her father's eighth studio album "Dangerous" tattooed on her arm. Suffice to say, the art work is stunning.